Defense Commission: Hon. 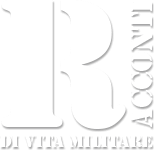 Rizzo, "proud of our military and of the role that Italy plays"
A delegation from the Defense Commission of the Chamber has just returned from the oldest mission area for our soldiers: now 40 years! In Lebanon the result of the long presence of Italians can be appreciated in many nuances of everyday life, the simplest is the spontaneous smile of those receiving the passport upon arrival in Beirut, the most complex is the long - but cordial - wait because you are in transit for Syria (albeit with a journalistic visa ...). We met the President of the Commission, Mr Gianluca Rizzo, for feedback on the visit and to understand the details and perspectives of the Land of the Cedars, a fundamental crossroads for all the neighboring countries. Mr Rizzo, together with colleagues Roberto Paolo Ferrari and Marta Antonia Fascina, returned from a visit to our blue helmets on a mission to Lebanon. What is the real situation of the country in general and the work area of ​​our military in particular? The contribution that Italy is giving to the stabilization of Lebanon is enormous and commendable. Lebanon from the Middle East has all the potential to transform itself into a model of coexistence, democracy and peace. Once the term "libanization" was synonymous with fragmentation. Today we can say that the term means composing a balanced mosaic, in which diversity becomes a force and not a weakness. Lebanon hosts about a million and 500 thousand Syrian refugees on its territory, to which must be added tens of thousands of Palestinian refugees. We are in a relationship of 1 refugee every 4 inhabitants, any other State would have collapsed under this pressure. The government of Saad Hariri II called the "government of repossession of trust" is today the expression of a true national unity of the country. A national unity that was fundamental to not import the Syrian civil war also in Lebanon. The Unifil, of which Italy has the command and also the bilateral Italy-Lebanon mission, the MIBIL, as well as contributing to the maintenance of the ceasefire with Israel, supports the training of the Lebanese Armed Forces (FAL). The construction of a national army recognized by all the subjects is in fact considered by analysts a fundamental element for the full recovery of the national sovereignty of Lebanon. Has something particularly hit you in the positive? Many things I found positive. For example, the very high consideration with which the variegated Lebanese political world has shown recognition for the activity and commitment of our country. And then something from "southern" I want to say: that feeling of hospitality and hospitality is very reminiscent of what is inherent in the culture of my land. We are both Mediterranean peoples and this is seen and heard. I can not define negative the difficulties that a country, repeatedly destroyed and repeatedly rebuilt, crosses or has crossed. I see positive signs by far and it is on those we have to work on. Had he already been to Lebanon? Never. In the last legislature some fellow Members of the M5S instead had been there and I was told. I am happy to have found in my visit all the positive things that they too have told me. Perhaps compared to the mission of a few years ago, with the threats to Lebanon by Daesh (ISIS), the situation has still improved. In fact, in the summer of 2017 a real battle took place between the FAL and the men of the Caliphate. The Lebanese army has conquered some heights, until then the prerogative of Isis, in the border area with Syria. The hills lie between the towns of Ras Baalbek and Arsal, in the Bekaa Valley. On that occasion the military destroyed some fortifications of the Islamic State and killed many fundamentalists. 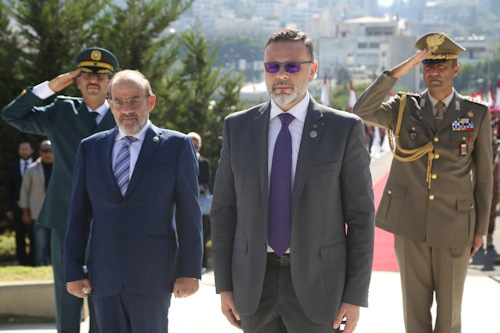 All this was possible not only because of the level of training achieved by the FAL, but also because behind it was the Lebanese national unity I was talking about earlier. He also visited Nave Magnaghi in Beirut. Yes and it was for me and for the whole delegation another significant moment. The ship is moored in the port of Beirut where we boarded. The activity of Nave Magnaghi in Lebanon is divided into two complementary areas, combining a hydrographic survey campaign carried out by joint personnel of the Italian and Lebanese Marine, with an intense training program for the latter's staff, to supplement the training offer of the MIBIL. 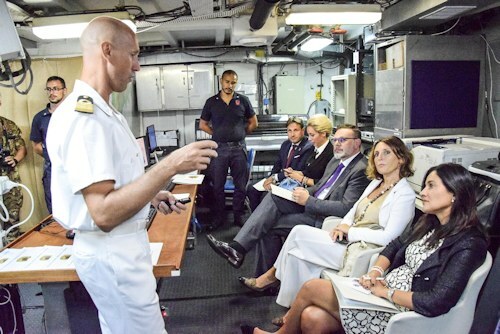 The Lebanese military is transferred theoretical and practical knowledge in navigation, communications and fire safety, both in port and in navigation, supporting the Italian personnel and continuing with exercises where the Lebanese personnel work independently, under the supervision of the instructors. of the Naval Naval Training Center, boarded on the ship. Our sailors are doing a great job. The war across the border has taken a different turn with the Russian intervention and the change of president in the United States. Is there a return to the homeland of Syrian refugees? Unfortunately, the war in Syria is not over yet and even Daesh has not been completely defeated. Many powers beyond those mentioned, are present with their own military in the Syrian territory: Iranians, Turks, English and French. The return of refugees to their cities must be safe and yet this fact is not sufficiently guaranteed. The Syrian people have suffered and are still suffering a lot. A lasting peace agreement is the precondition for cities that are reduced to rubble to be rebuilt and repopulated again. Italy provides humanitarian aid and cooperation projects in the health field but we would like to do more, perhaps following the Lebanon model. It is blasphemous to speak of "religion" when politics is always responsible for wars. Have you heard again about "tensions between Shiites, Sunnis and Christians"? It is not a question of blasphemy that it is always a mistake to use religious affiliation to divide a people. Generally they are external powers that blow on the fire of these divisions. But now Lebanon resists these self-destructive drives. In the meetings we had with the Lebanese parliamentary president Nabih Mustapha Berri, with the defense minister Yaacoub Sarraf and with a delegation of Lebanese deputies members of the defense commission, I found awareness of this risk but also a strong desire to avoid it. The Lebanese people have already paid too many times on their skin the cost of civil wars often induced by external interests and powers. How was the visit to the Unifil Joint Task Force Lebanon? Of great interest as well as of great emotion. We must bear in mind that there are military members of 41 countries on virtually every continent. We must have a great command capacity to lead a contingent in a context, that of the blue line, which however remains at high risk. 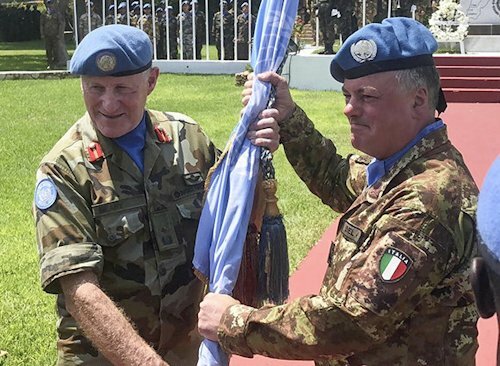 General Stefano Del Col has recently become head of mission and commander Unifil. It is not the first time that it happens to Italy and this shows the esteem that the Italian soldiers have earned over time. I would like to remind you that the so-called "tripartite" is also the result of Italy's diplomatic capacity. It is a building on the blue line, partly in Lebanese territory and partly in the Israeli one, where the Lebanese armed forces and those of Tel Aviv meet to maintain the armistice. These are special meetings, without the two delegations coming into contact with each other. They look at both Unifil commanders. An indirect dialogue, through a third person but that takes place in real time. It is thanks to this "invention" that tensions were managed between the two camps. Have the other members of your delegation given such a positive reading of your parliamentary mission? I can reasonably say that both colleague Fascina and colleague Ferrari share a feeling similar to what I have outlined, but you can easily ask them. Together we will report to the Commission on our visit and we will do it all with pride for our soldiers and for the role played by Italy in that context. Exclusive interview with Libyan interim government minister: "The Italian government (not Italy!) Supported Al Sarraj"
Undersecretary of Defense on. Raffaele Volpi: the right man on the wrong step? Interview with Nicolò Manca, general still "in the (vain) search for an Army"
Interview with the President Committee Specificity Civil Defense Staff: "You can not pretend that 26.000 people do not exist"
Click on days highlighted in red and find out what's in the box. "The last 2 missile: chronicle of an asymmetric war"